New Year greetings and well-wishes from our Provincial House, Bethel, Mount Pleasant, in Blantyre. The year 2018 was an eventful one, several meetings, etcetera at Provincial and congregational levels were held where Brothers interacted and shared ideas and made bold decisions that will guide our congregation for the coming six years. Below are some the events that took place in the year just ended. Malawi province like the other three FIC provinces and the Religious House, Netherlands held its provincial chapter in 2018. The chapter had three phases, the first phase was held in February, from 26-28. The second phase was from 15th -19th October, and the third one was from 29th October to 1st November. During the sessions, Brothers had time and space to discuss important issues that are at the heart of the province and our congregation as whole. At both the General and Provincial chapters, decisions were made that will guide and help our General and provincial council members and all the other FIC Brothers to keep the heritage of our beloved congregation in the four provinces and the Religious House the Netherlands alive for the coming years. In our province, important decision that were taken include restructuring the management and membership of the IGA, (Income Generating Activities) with the aim of locally maximizing projects that will earn us more income to support our living costs and our apostolates in the coming years. Other equally important decisions that were made include the transfer of the pre-novitiate community from Mzedi to our Lukulezi farm in Phalombe and to explore the possibility of building a community in Lilongwe Diocese in the Centre to physically make our life as Brothers FIC known by the youth in the Centre and the North who continue to show interest to our way of life. We also and finally to build a house on our Newlands plot to increase our local income generating projects. During the last session of the chapter, the chapter delegates, elected the following brothers as members of the Malawi Provincial Council 2018-2024. Another memorable occasion that took place in the just ended year was the first profession of the following Brothers on 21st November. Bro. Mike Mbato, now a member of Maryview Community and a teacher at Nguludi Girls Primary School in Chiradzulu District. Bro.Moses Mgunda, Mzedi Formation Community, and a teacher at St. Louis Community Day Secondary School. After serving the province for 9 years as Provincial superior, Bro.Martinus Dariyo left Malawi for Indonesia on 14th December 2018, for his well-deserved sabbatical. He returns to Malawi in April of this year. We wish him a restful period of spiritual renewal and hope to see him back refreshed and ready to continue with life in a different capacity and environment. On 8th December 2018, Bro.Lawrence Nkonde had an opportunity to renew his religious vows for a period of one year. We congratulate you Bro. Nkonde for this step that will eventually lead you to perpetual profession. On the same day, the official handing over of responsibility from the outgoing to the incoming provincial councils was held at the Formation House in Mzedi, where among other things, the outgoing provincial superior handed over new files and minutes of the 2018 Provincial Chapter to each of the new provincial council members. Bro. Moses Mgunda Teacher, St. Louis CDSS. Bro. Lawrence Nkonde, Teacher, Mitengo Tech. College. Bro. Ivo Heatubun, Local superior, Provincial Treasurer, member IGA/maintenance comm. The following committees were formed to be the guiding force behind all our activities/services in the province for the coming years. As PCM, we encourage committee members to take proactive approach in these committees and to promote and nurture a spirit of team work and commitment to the tasks that our province wants to develop and nurture amongst our brothers. Be assured of our support and prayers as PCM. 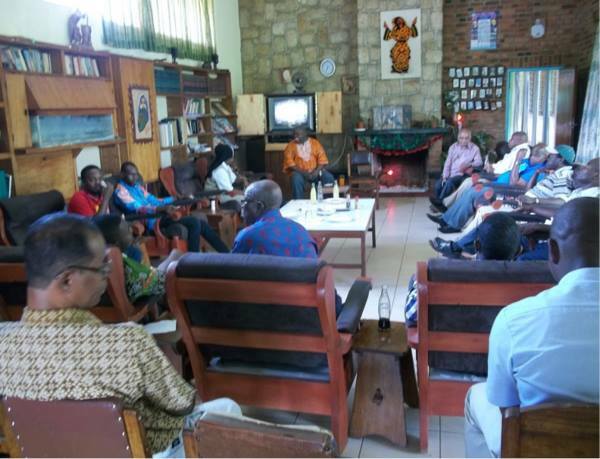 In December 2018, the FIC land committee comprising of Bros. Martinus Dariyo, Andrew Makocho and Lawrence Sitima met the Archdiocese of Blantyre land committee members. After a long and tiring deliberations, we came up with a refined document which we think could be the final MoU between the FIC Brothers and the Archdiocese of Blantyre if both our GC and the Archbishop of Blantyre, His Grace Thomas Luke Msusa give their nods. Towards the end of December 2018, the PCM heard that the Archdiocese of Blantyre Land committee is in the process of transferring our land at Likulezi in Phalombe to the Archdiocese of Blantyre, that it becomes theirs. As a follow up to this information, The Provincial Superior met the chair of the Blantyre Archdiocese land committee Fr. Lawrence Simbota to get more information on the issue. During the meeting, Fr. Simbota alleged that the land was given to the Diocese by Bro. Martinus Dariyo. I later decided to discuss Fr. Simbota’s response with Bro. Martinus Dariyo, to get his side of the story. My predecessor’s response was that he only asked Fr. Simbota to help protect the land from further encroachment by Mulli Brothers, one of the Malawian business mogul, and that he did not give it to the Diocese of Blantyre. On 13th December 2018, my predecessor and I went to Chisitu Parish to further discuss this matter with the Diocesan land chair before the former left Malawi for his sabbatical in Indonesia. The archbishop of Blantyre has been informed of the development and as PCM we wait for his response and if he insists on the claims of the diocesan land committee, we shall forward the matter to the General Council for advice. 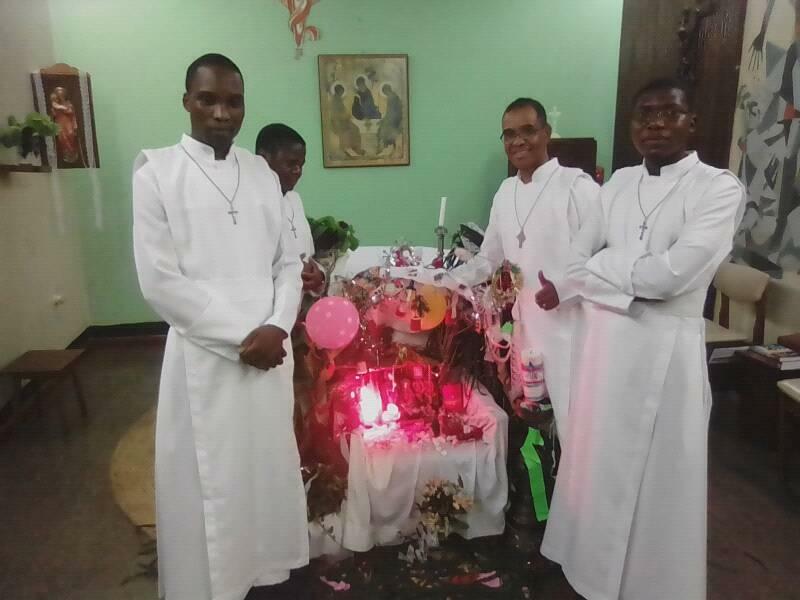 Brothers of the Immaculate Conception of the Blessed Virgin Mary (FIC) in Malawi Province gathered in Mzedi Community on 25th December 2018 for double celebrations. The first celebration was the birth of Our Lord Jesus Christ which is Christmas and the other celebration was the birthday of Bro. Thomas Edison who was born on 25th December. 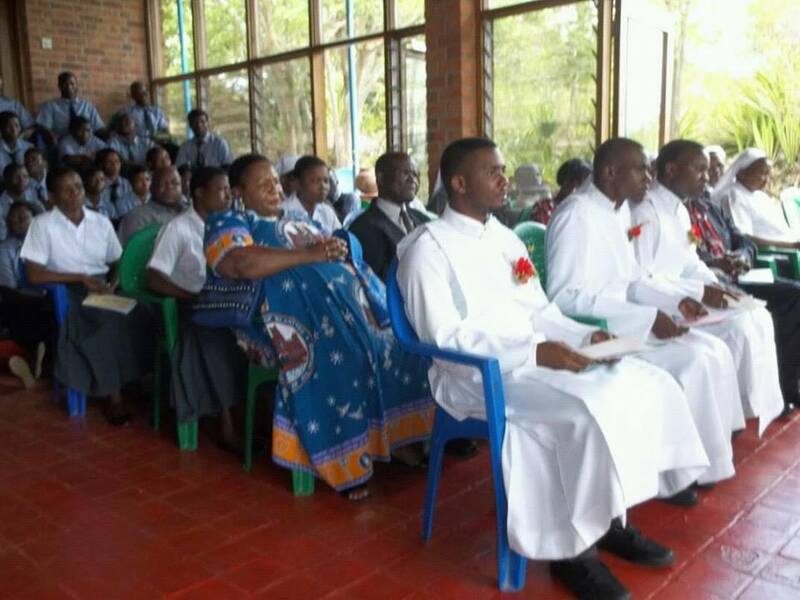 Brothers from Maryview community spiced the gathering as they came to the celebration with a Reverend Sister from Sisters of Charity of Ottawa who is studying at the Catholic University of Malawi (CUNIMA). 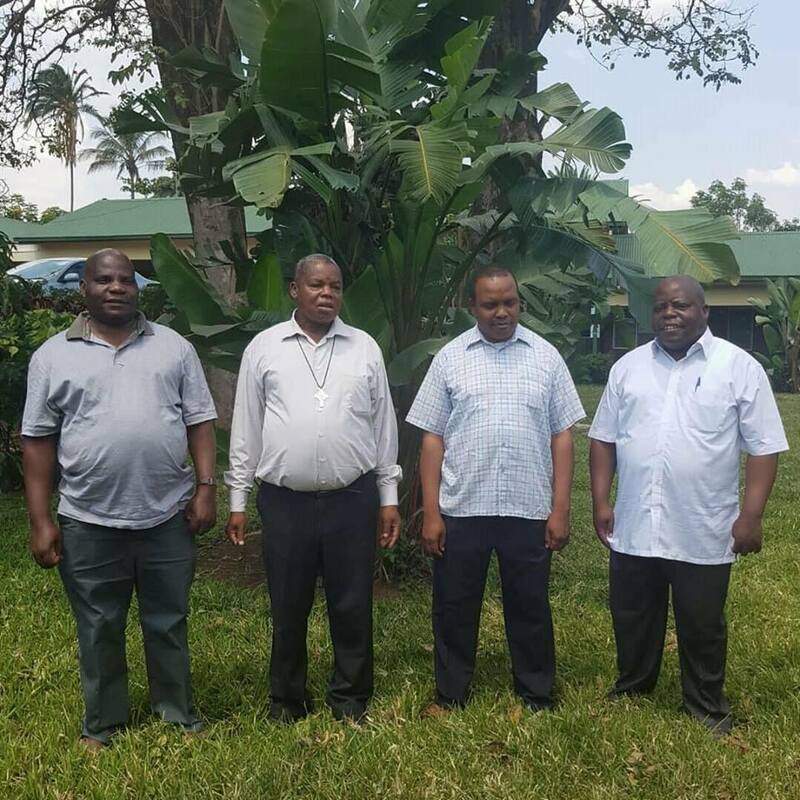 The gathering gave an opportunity to the Provincial Council of Malawi to give some information on new appointments and transfers of brothers in the province following their first provincial council meeting which was held on 10th December 2018. The communication was done by Bro. Lawrence Sitima our Provincial Superior. The Malawi Provincial Council, in its meeting on 3rd January,2019, re-appointed Bro. Ivo Heatubun as Provincial Treasurer for the period 2019-2021. Bro. Ivo has been the Province’s msungichuma wamkulu (General Treasurer) as Malawians would say, since he took over the bursarship from late Thomas Lechner. We thank him for his availability despite the many challenges he faces as he tries to prudently carry out this rather delicate responsibility. One of the main topics that was repeatedly discussed at the 2018 Provincial Chapter was the accompaniment of our temporary professed Brothers. The chapter delegates acknowledged with regret that not much has been done to help and to journey with our temporary professed brothers, for the past years as they grow into the congregation. I am happy to inform our readers that Brother Thomas Edison accepted to oversee the ongoing formation program for a period one year in addition to his other main apostolate. We wholeheartedly thank you Brother Thomas for your availability and we wish you success. We congratulate Bro. Mike for admission into The Catholic University of Malawi weekend program for a three-year Diploma Course in Special Needs and Social Studies. We wish Brother Mike a successful period of study. We received sad news today,20th January 2019, that the paternal grandfather of Bro. Mike Mbato passed on. He left this morning for Ntcheu to attend the burial tomorrow, 21st January 2019. May God’s traveling mercies be with Bro. Mike as he travels. In conclusion, we want to take this opportunity to ask all FIC Brothers to continue to cultivate and nurture a spirit of team work in our communities, apostolates and the committees we have constituted. May God grow in each one of us a sense of ownership on what we have as a province and what God plans to give us, as we embrace 2019, that our expectations and resolutions may bear abundant fruits for us and our neighbours.